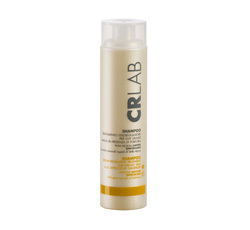 The CRLAB SEBUM REGULATING PROTOCOL (also for greasy dandruff) purifies the scalp and frees it from excess sebum (oily) production that could affect hair bulb metabolism. The excess sebum (caused by hormones, stress, food, etc.) could have a very negative influence on hair quality, making it dirty, heavy, weak and thin. To provide strength to the hair, the protocol works on the scalp thanks to a well-studied essential oil mixture with great "astringent" capacity and several plant extracts with a high nutritive activity. 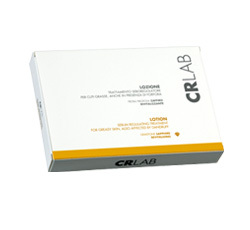 We want to underline the jojoba extract that has a lipid composition similar to normal human sebum and the avogado extract, a regulator of sebum production. 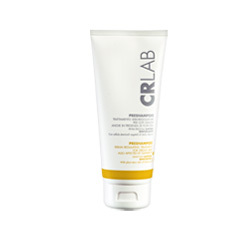 The Laminaria extract and the Fomes extract have a very strong astringent capability, leaving the hair root free from excess sebum. 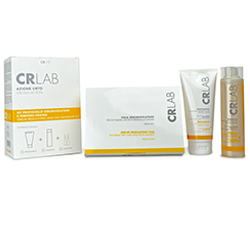 The azelaic acid is a strong antibacterial agent with the capacity to control sebum production. 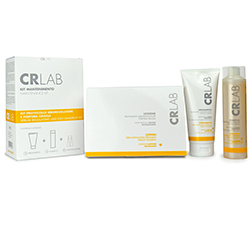 This Protocol is highly effective also for oily dandruff because the formula's active principles fight Malassezia Furfur formation, the contributing cause of dandruff formation and recurrence. 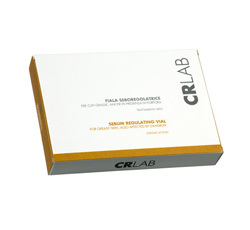 The Edelweiss Plant stem cells are added to this Protocol because of their balancing and regenerating action. We select for this line the Sapphire Gemstone: it reinforces hair bulb metabolism providing important microelements for healthy hair growth.